Brown (concussion) recorded a solo tackle and recovered a fumble in Saturday's preseason game at Minnesota. Analysis: Brown was put into the concussion protocol during the preseason opener last week, but cleared the protocol and was able to play 16 defensive and 10 special teams snaps in Saturday's game. The 24-year-old is on track to serve as a rotational linebacker and special teams contributor this season. Brown is in the concussion protocol after Thursday's preseason game against the Saints, Mike Kaye of FirstCoastNews.com reports. Analysis: Brown played 13 defensive snaps and added seven snaps on special teams before leaving with the injury. The 24-year-old will have to clear concussion protocol before fully returning to practice. Brown will move to strong-side linebacker in 2018, John Oehser of the Jaguars' official site reports. Analysis: This comes in response to the Jags moving Myles Jack to middle linebacker in base coverage. Brown still isn't expected to play more than 35 percent of defensive snaps, but his run-stopping abilities will be key to repeating the best defense of 2017. Brown (ankle) is active for Sunday's playoff matchup with Pittsburgh. Analysis: Brown injured his ankle during practice Wednesday, ultimately leading to his questionable tag entering the day. He's been a backup throughout the season and likely will see his typical role against the Steelers, barring an injury to one of the Jaguars' starting linebackers. Brown (ankle) is listed as questionable for Sunday's game against the Steelers. Analysis: Brown, who injured his ankle during Wednesday's practice, was given the day off Thursday but returned to the fold in a limited capacity Friday. Starting linebacker Telvin Smith will likely take on all the snaps he can handle if Brown is ultimately ruled out. 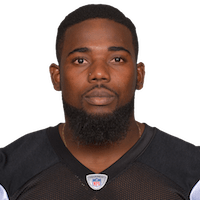 Brown suffered a lower-leg injury in Wednesday's practice but still has a chance to play in Sunday's playoff game against the Steelers, Mike Kaye of FirstCoastNews.com reports. 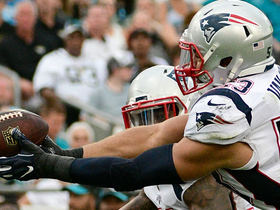 Analysis: The linebacker has mostly served in reserve duty for the Jaguars this season. Currently in a walking boot and on crutches, Brown's status in practice the rest of the week will be one to monitor ahead of Jacksonville's divisional round showdown with Pittsburgh. Brown (concussion) is listed as active for Sunday's game against the Titans. Analysis: Brown has been cleared to play in Week 17 after logging full practices Thursday and Friday. The reserve linebacker has averaged two tackles per game throughout the Jaguars' past four contests. Brown (concussion) is listed as questionable for Sunday's game against the Titans. Analysis: Brown practiced in full capacity Thursday and Friday and seems likely to receive clearance to play. The fifth-round rookie has cranked out at least two tackles in four of his past five games. Brown suffered a head injury in Sunday's game against the 49ers. Analysis: He is being evaluated for a concussion. The rookie had recorded two tackles (one solo) before his departure. Brown will start at outside linebacker in place of the injured Telvin Smith (concussion) during Sunday's game against the Colts, John Oehser of Jaguars.com reports. Analysis: Brown, who was selected by the Jaguars in the fifth round of this year's draft, will make his first career NFL start due to Smith's absence. Brown logged four tackles (three solo) during last week's loss to the Cardinals, bringing his total to seven tackles on the season. Brown (hamstring) was a full participant in Thursday's practice. Analysis: Barring any setbacks, Brown will play against the Cardinals on Sunday. 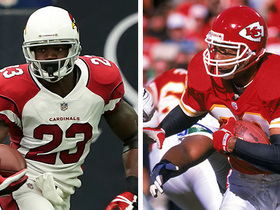 However, he'll return to his depth position and should stay off fantasy radars. Brown (hamstring) was downgraded to out for Sunday's game against the Browns. Analysis: Brown was sidelined at practice for the most of the week with a hamstring issue and failed to make the trip to Cleveland with the team. Look for more updates on his injury to come next week when the Jaguars resume practice. Brown (hamstring) is listed as questionable for Sunday's game against the Browns, Ryan O'Halloran of The Florida Times-Union reports. Analysis: Aside from a limited practice Thursday, Brown was otherwise on the sideline during the Jaguars' Week 11 preparations, putting his status for Sunday's contest on shaky ground. The rookie fifth-round pick is a backup linebacker for the Jaguars and won't be in store for much more than special-teams work if he suits up. 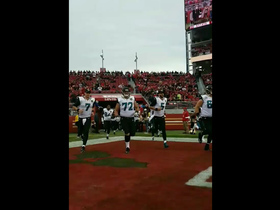 The Jacksonville Jaguars run out to boos before their Week 16 game against the San Francisco 49ers. Adrian Peterson gains 9 yards and a first down.